Our trunk show series with exhale mind body spa continues this weekend! Pamper Mom with a well-deserved massage and facial and enjoy some relaxation time in the spa’s hydro pools. 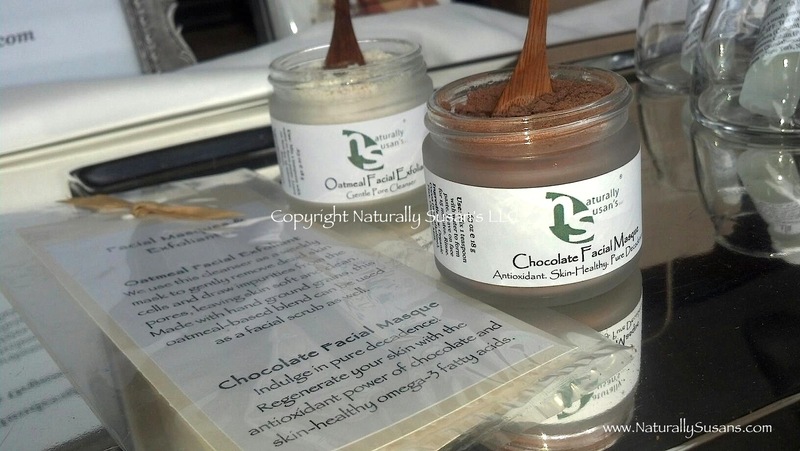 And, bring home some of our natural, organic skin care products for some at-home indulgence. See you at the spa! 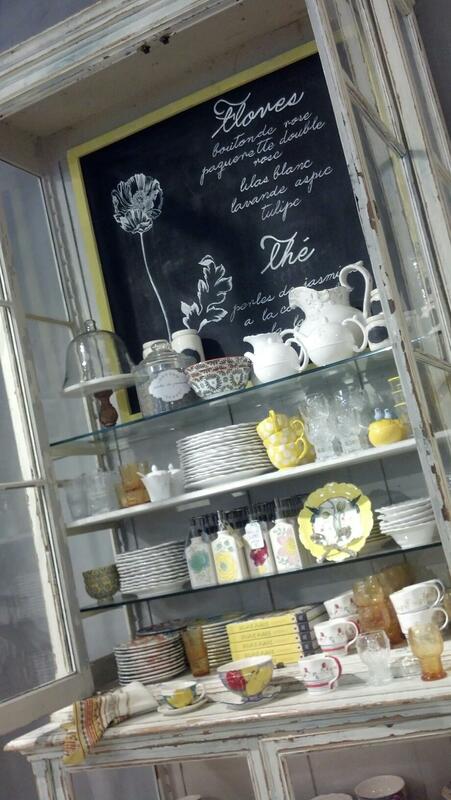 It felt like Springtime inside @Anthropologie today. So bright and refreshing. Our best selling Avocado Lavender Salve Minis will be among the fabulous goodies including Exhale Spa, Journelle, Baked by Melissa and more! Join us at the Greenwich Village-Chelsea Chamber of Commerce’s Women in Business Cocktail Event on March 27th as we honor leaders from Journelle, Booz & Company and The Tory Burch Foundation! Enjoy an evening of networking, drinks, and hors d’oeuvres and take home your own goodie bag! Please RSVP to the cocktail event here. We look forward to seeing you! Awesome tweet from Chelsea Bazaar today! @ChelseaBazaar: We’re addicted to our @NaturallySusans Avocado Lavender Salve. No chapped lips this winter – thanks Susan! Thanks to everyone who joined us at the Chelsea Bazaar in The Altman Building on Saturday, February 2nd! It was wonderful to see many NS fans and we hope that you had a wonderful time and got some unique items while enjoying delicious morsels! And, we thank you for participating in our event giveaway. A special congratulations to Diane H. who won a 4-Piece Home Spa Kit! Thank you again for coming! Stay warm and we look forward to seeing you again soon! Visit us at The Chelsea Bazaar on Saturday, February 2nd! Naturally Susan’s will be among 40+ shops offering food, shopping, giveaways, and more! And, we’ll debut our special edition 4-Piece Home Spa Kits, so come check it out! MEATPACKING DISTRICT — There’s always money in the banana stand. A popular new outdoor market in the Meatpacking District has expanded after being open only a few months, adding three new vendors — including one that specializes in chocolate-dipped frozen bananas. 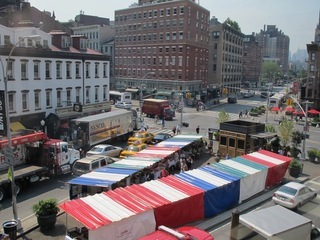 The Chelsea Triangle French Market opened over the summer at West 14th Street and Ninth Avenue as a place for locals and visitors to buy fresh produce, cheese, baked goods and more on weekends. The new vendors set to arrive are the banana purveyor Trop Pops, which also specializes in frozen kiwi, mango, and pineapple dipped in dark chocolate; Olive Oil of the World, a specialty olive oil vendor; and Naturally Susan’s, a skin-care product line. The new lineup comes as the market heads into the fall season, with plenty of fresh local vegetables and organic meats and cheeses ripe for the picking. A variety of already popular vendors will also return to the market, including pies from Pizza Roma, macarons from Richart, sorbet from Sorbet Gourmet, and mozzarella sandwiches from Iron Tomato. The market, run by Bensidoun USA, which also manages French markets in Paris and Chicago, is open Fridays and Saturdays from 10 a.m. to 3 p.m. through Nov. 29.